Gamers, try to contain yourselves. Netflix, according to a company announcement today, is working on a fresh take on the classic gaming series Castlevania. We don’t know much yet, but acclaimed writer Warren Ellis (Transmetropolitan, Iron Man) has signed on to write at least the first season. For Ellis, the project isn’t a new one. There’s concept art dating back to 2008 from an animated screenplay titled: Castlevania: Dracula’s Curse. The project, which started in 2006, has since become a partnership between 51 Productions and Frederator — the company that currently owns the rights to Castlevania. 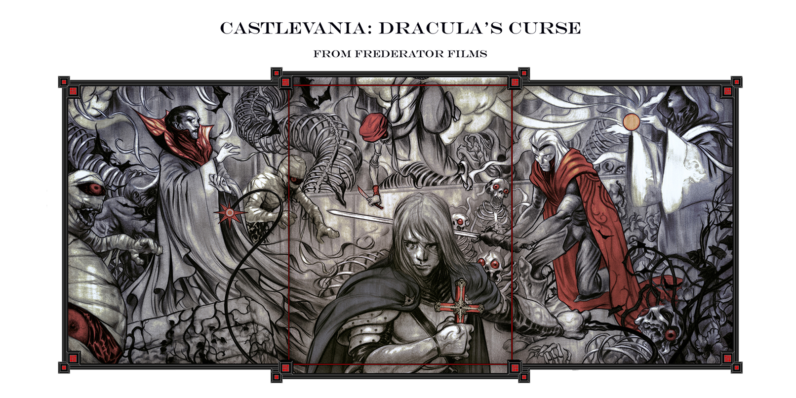 Ellis and Frederator’s vision for the project was a screenplay based on the iconic video game’s third title: Castlevania III: Dracula’s Curse. There was a production blog detailing the project’s progress, which has since gone dark. Prior to the announcement, a Globe and Mail story detailed another key component: animator Michael Hirsh and his studio, Wow Unlimited Media, would be responsible for the show’s art. First debuting in 1986, we haven’t seen a Castlevania game since Lords of Shadow 2 hit shelves in 2014. The animated series — set to debut later this year — isn’t as good as a new game, but we’ll take it.